If you are looking for a career path that offers plenty of job opportunities, a hands-on environment, job security and a good salary, then working as an HVAC technician can be a great option. Following are five reasons why becoming an HVAC technician may be a good idea. There is a large range of industries that hire HVAC technicians – and they are all over the country. Once you have completed HVAC classes, there are many industries where you can work. HVAC workers are employed everywhere in the U.S. and some states such as California, Texas and Florida have over 20,000. 2 Furthermore, you don’t have to worry about your job being outsourced as most HVAC jobs have to be done on-site and so cannot be shipped to a foreign country. As an HVAC technician, you will be called on to work in a variety of commercial and residential environments. In a single day, you may visit a number of places to install, repair and/or maintain heating and cooling units. The potentially varied work environment may prevent boredom that someone who works in an office can experience. Training at a vocational school for HVAC typically take less time than going to a university or community college. In fact, you can train to become an HVAC technician in as little as six months. Because of the shorter period of time, you are less likely to rack up student debt than you would be if you attended a traditional two or four year college. Another advantage is training at a vocational school, students can enter the workforce quicker moving to financial independence faster. There are a few reasons that working in the HVAC industry might be a good career choice for some. A higher than average job growth, not working in an office, job security, and a chance to build your skills to move into a supervisory role. 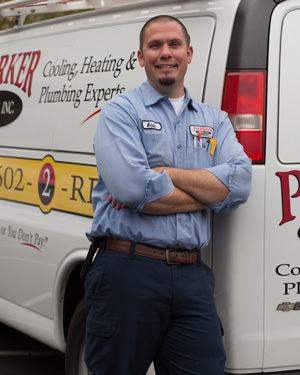 Even so, HVAC technician work offers more than just job fulfillment. The training period is short, pay is good, jobs are not likely to be outsourced and there are set to be plenty of job opportunities both now and in the future. Given all that HVAC has to offer, those interested in the skilled trades ought to give this career path serious consideration.